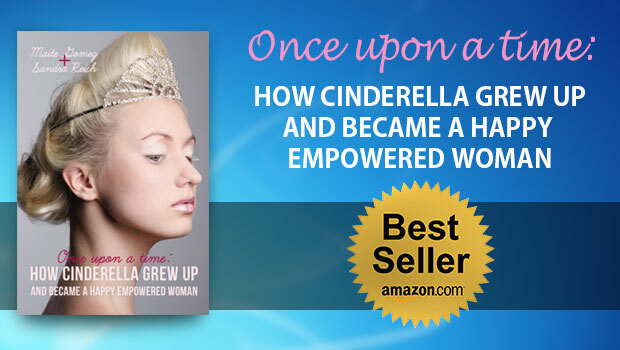 Written for women of all ages “ How Cinderella Grew Up and Became an Empowered Woman” gives you your power back by helping you understand your role in your own life and in your relationships; allowing you to change your life and love life forever! "Once Upon a Time’ is a treasure for women everywhere! Sandra and Maïté explore in-depth the traps that women often fall into and how to get out. Take the journey of empowerment with these two authors to discover whether you are falling into the victim, the martyr or the caretaker. Use these new understandings to change your life and your relationships forever!" Enter your name and email to receive your FREE E-BOOK on Empowered Women 10 tips about relationships.